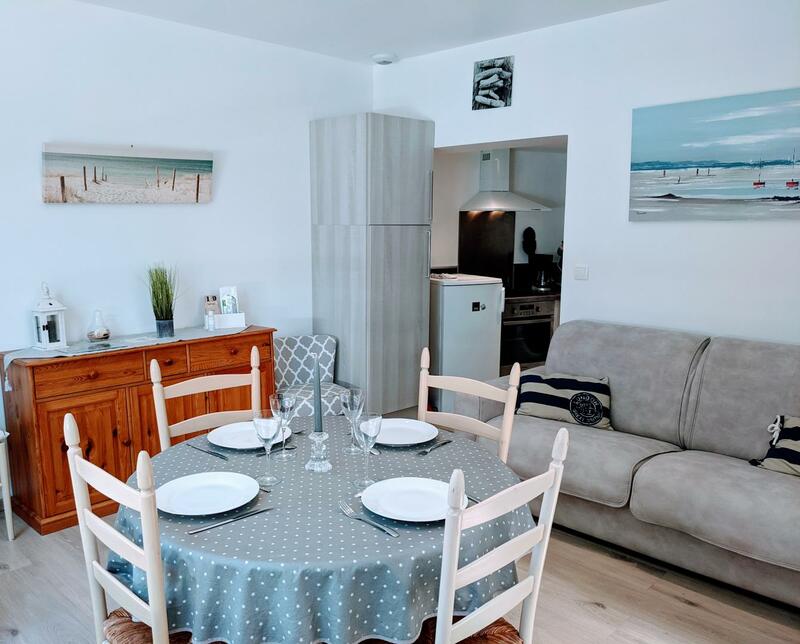 Tastefully decorated gîte (45 sq.m.) in quiet street, 100m from marina, 5 min. walk from town centre. Little courtyard (10 sq.m.). Living room with fitted kitchen area (fridge-freezer). 1st floor: bedroom (queen-size bed), shower room, separate WC. 2nd floor: attic bedroom (2 single beds) with shower & washbasin. Child safety gate on request. Electric heating (extra charge). Pay & display parking in street (weekly parking permit possible: 35€) - free November to late March. Tourist tax included in rent. Electric BBQ.